ZIMBABWE’S sporting fraternity was plunged into mourning yesterday following the death of boxing icon Langton “Schoolboy” Tinago. 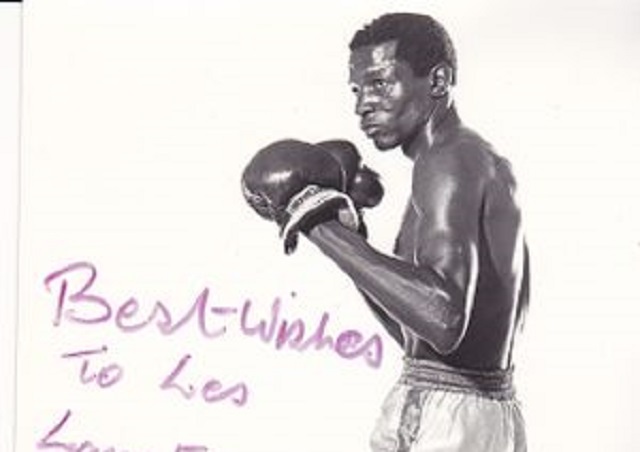 Tinago, a three-time Commonwealth champion and acknowledged as the greatest boxer to come out of this country, died yesterday in Gweru at the age of 69. The legendary boxer died at Gweru Provincial Hospital in the early hours of yesterday after having been taken ill on Sunday evening. He was suspected to have suffered from pneumonia. He is survived by his wife, seven children and several grandchildren. Mourners are gathered at his mother’s residence at No. 42 Nkenyani Road, Mambo, Gweru. Burial arrangements for the boxer who got his name into the Guineas Book of Records are yet to be advised but early indications are that he will be buried in Gweru and not his rural home in Shurugwi. Family spokesperson, Wellington Pombi, who is his brother, broke the sad news. “He was taken to hospital on Sunday evening and passed away this morning (yesterday) at the General Hospital,’’ he said. “It is a shock to the family and his death is a great loss to the whole family, we looked up to him a lot. Burial arrangements are yet to be announced, I have talked to the Minister of Sports (Raymond Kazembe), (Midlands) Minister of State (Owen Ncube), the boxing fraternity, among many other stakeholders, and they are saying they want to take part in his burial. “Remember he is an icon, a national hero and as a family we will give the nation the opportunity to mourn their hero. “I have received a number of phone calls and it sounds like a lot of people are really concerned and are mourning with us. As a family we will be very happy if he is accorded a send-off that is worth his heroic status of being the only sportsperson to achieve the biggest number of accolades at his time. Kazembe said the local sports fraternity had lost a pillar. “It is a sad loss to Zimbabwe and Africa as a whole to lose a sportsperson of his stature, we needed people like him to help in the resuscitation of sport in the country,’’ said Kazembe. “Zimbabwe is pushing to get back into the Commonwealth and these are the people we were looking up to, especially his success in the sports fraternity. “It is unfortunate we have lost him and he will be greatly missed. May his soul rest in peace.’’ Tinago died a very bitter man after spirited calls for Zimbabweans to help him eke a living did not get the desired response. In April this year, the boxer appeared to foretell his death. “I know Zimbabweans are fond of passing glowing eulogies when someone dies yet they would have never bothered to check on him or her during the days when that person needed them the most,” he told The Herald. Zimbabwe National Boxing Control Board chairman Richard Hondo said the country has lost one of its greatest sports personalities. “Langton is the greatest boxer to ever emerge from Zimbabwe. I am speaking from my heart when I say Tinago is the greatest boxer to ever come from Zimbabwe since regulated boxing started in Zimbabwe in 1956. “Since that time, up to now, he has been the greatest one. The reason I am saying this is, if we start with the local scene Tinago was the dual national champion at lightweight and welterweight. He retired unbeaten on the local scene, that’s how much he dominated the local scene,” said Hondo. Some of the boxers he used to battle out against include Joao Mapepa, Jack Schoolboy, John Fighter and Safui Oke-Badan. The Gweru-based boxer was then under the stable of one of the best boxing trainers in Zimbabwe – Dave Wellings. Tinago’s first Commonwealth title came soon after independence when he won the lightweight title after beating Nigeria’s Hogan Jimoh in his backyard in Lagos. “Soon after Independence he travelled to Nigeria to challenge for the Commonwealth title which was then held by Jimoh in Lagos and to beat the Nigerian at home was unthinkable those days. “For Tinago the downside was that they made him sign a contract which meant Jimoh had to be the first one Tinago had to defend the title first and he had to go back to Nigeria. This time it was even earlier, I think he stopped him in five or six rounds. He then met an Australian called Graeme Brooke, this fight took place at Granada Studios in Manchester, UK, and I personally attended that one because I was away from work on a sabbatical. “That was second time he became champion in the lightweight against Brooke, then he lost to a British boxer — Mo Hussain — six months later,” Hondo said. Tinago went on to fight in super featherweight division against Safui Oke-Badan and won the title to become three-time Commonwealth champion, with two titles coming from the lightweight division. Boxing Board member Patrick Mkondiwa, who worked with Tinago, said he was a disciplined and humble person.